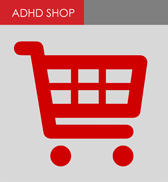 ADHD is a common abbreviation for Attention Deficit/Hyperactivity Disorder also abbreviated as AD/HD. The condition impacts adults as well as children. Most publicity about ADHD usually refers to children. To be diagnosed as an adult with ADHD the symptoms must be present from childhood. As children mature into adulthood, some develop strategies to better cope with their symptoms. Many children however, will carry symptoms of ADHD through to adulthood and if untreated, these result in significant impairment in their ability to study, work and manage their lives.